The Panthers knocked off Bishop Gorman 12-6 in a Class 4A state quarterfinal Monday, earning a trip to Reno for a semifinal on Thursday. 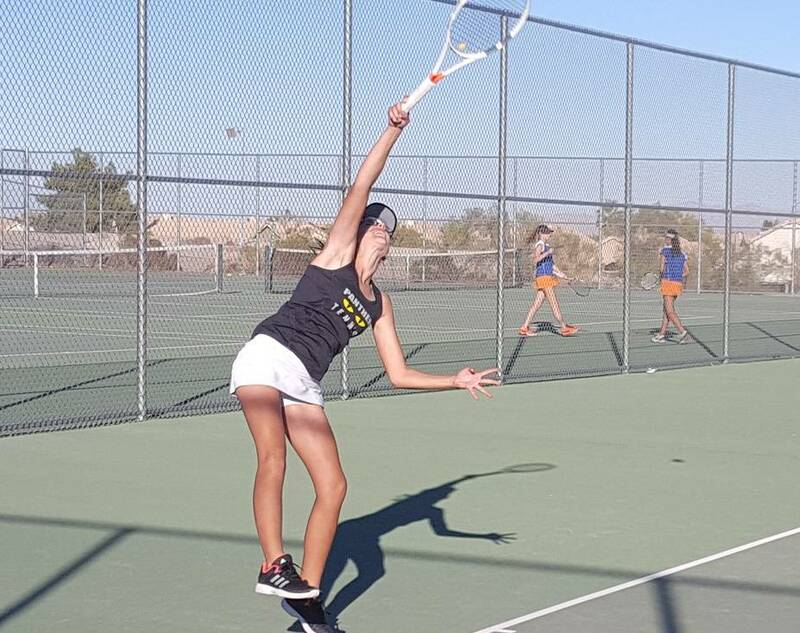 Palo Verde’s girl’s tennis team had a four-year run of state tennis tournament appearances snapped last year, when the Panthers lost to Faith Lutheran in the region semifinals. The sting didn’t completely subside until Monday afternoon, when the Panthers knocked off Bishop Gorman 12-6 in a Class 4A state quarterfinal, earning a trip to Reno for a semifinal on Thursday. 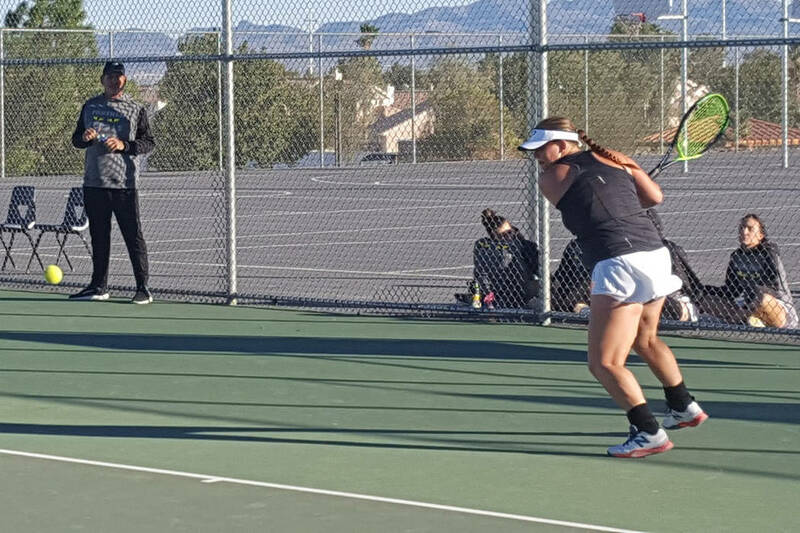 Richardson and Okano clinched the match for the Panthers with a 6-0 victory in the third round over Gorman’s Katy Ng and Marci Adolfo. Palo Verde’s doubles teams of Devon Yamane and Andrea Flores-Gerez, and Caroline Hsu and Priya Raju, each went 2-1. Shelby Graber and Lindsay Juhasz both went 2-1 in singles for the Panthers. Graber and Richardson are the only Palo Verde starters with previous state tournament experience and have never missed a match during their high school careers. 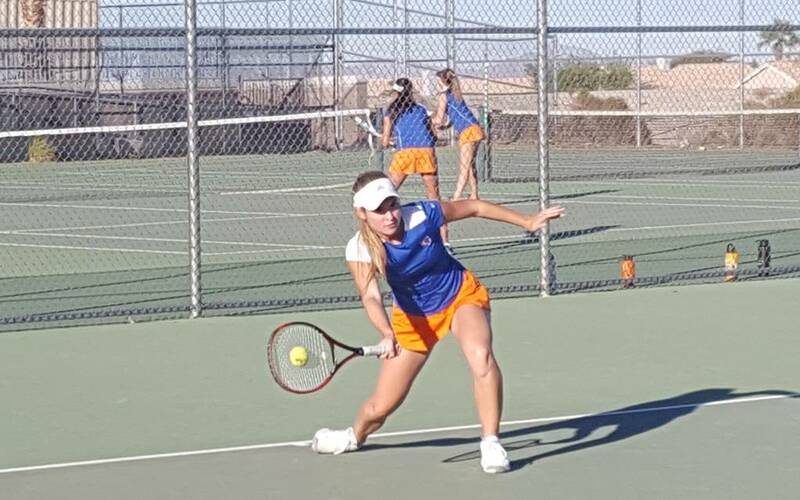 Graber, who won a doubles title last year with graduated Isabella Shelton, said she not only wanted to return to state and help the Panthers vie for their fourth team championship in five years, but because she wanted her younger teammates to experience the atmosphere. Karissa Matthews and Lauren Soong were 2-1 in doubles for the Gaels, and teammate Angelique Friedrich was 3-0 in singles.